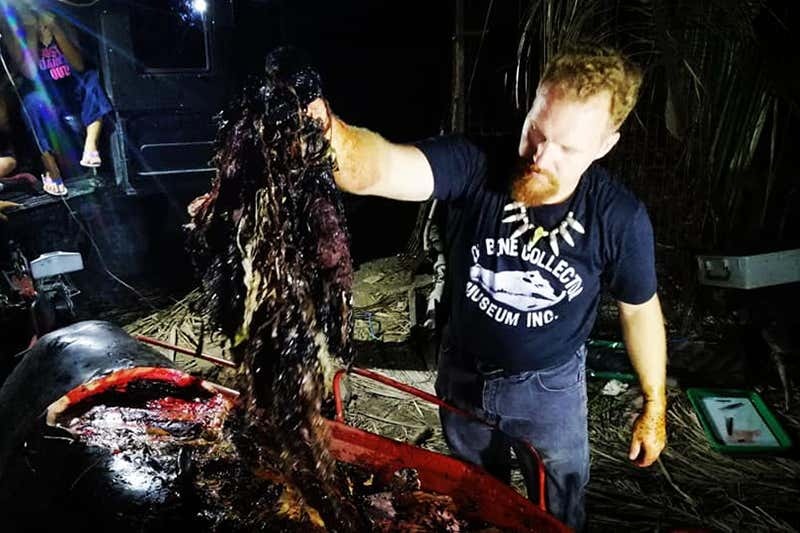 "Although we have not been able to deduce the cause of death, the facts that we see are truly awful," Dwi Suprati, a marine species conservation coordinator at WWF-Indonesia, told the Associated Press. Sperm whales are found throughout the world's oceans and it's no surprise that they'd be cruising around Indonesia. The country is smack in the middle of the so-called Coral Triangle — a hotspot of marine diversity and the area with the highest risk of plastic pollution in the marine environment, according to a 2017 study published in the Proceedings of the International Conference on Microplastic Pollution in the Mediterranean Sea. 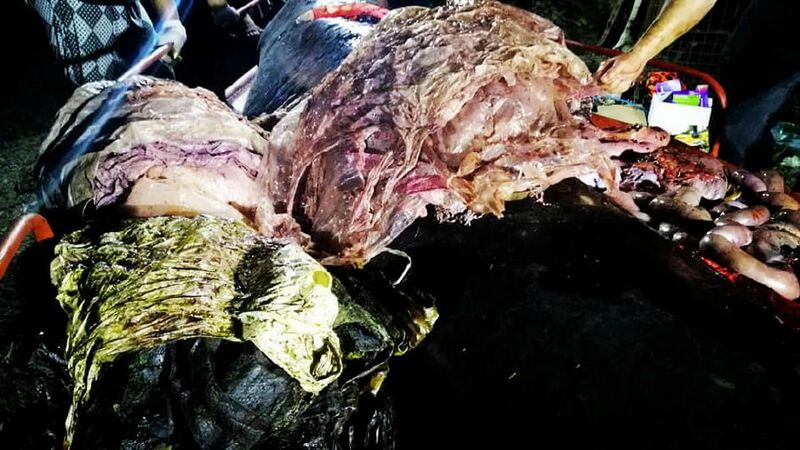 Since 2010, Indonesia has ranked as the second-highest plastic-polluting country in the world after China; it produces more than 3 million tons of plastic waste per year, according to a 2015 study published in the journal Science. 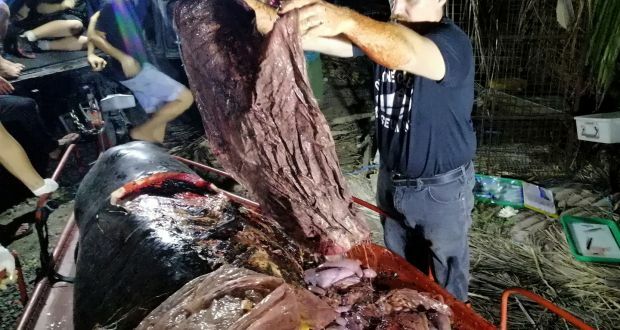 Indonesia's coordinating minister of maritime affairs, Luhut Binsar Pandjaitan, told the AP that the dead sperm whale should inspire the country's government and its citizens to significantly reduce plastic use. "This big ambition can be achieved if people learn to understand that plastic waste is a common enemy," Pandjaitan said.